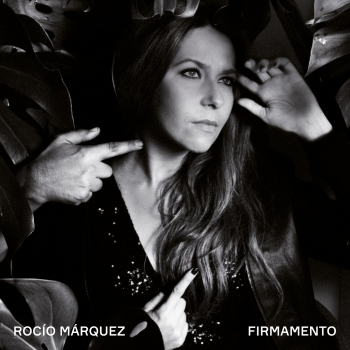 The art of flamenco and respect for tradition is reinvented by Rocío Márquez, Rocío has made her name as a leading figure in the world’s contemporary flamenco scene intertwining tradition with avant-garde to reclaim the concept of free song as it was advocated by the dearly departed Enrique Morente. This music belongs equally to the past and the future, and that makes it a must see and listen in the present day: always deep, always challenging and accessible, always alive. Rocío Márquez was born in Huelva in 1985. She began singing very early but it wasn’t until she turned 9 that she started to attend to flamenco lessons at the Peña Flamenca in Huelva. It was also around that time that she first stepped into a stage, winning various contests singing Fandangos from her native Huelva. At the same time, she started studying piano and singing with Gloria Muñoz. She moved to Sevilla at the age of 15 where she combined her regular studies with a more specific flamenco education. In 2005 she was granted a scholarship at the Cristina Heeren prestigious foundation. There she was taught by the legends Paco Taranto and José de la Tomasa, among others. At the same time she completed her Music Education degree at Sevilla University, followed by a Master’s degree at the same university. Currently she is working on her PhD thesis about the ethics and aesthetics of Pepe Marchena.She has also been a teacher at the Cristina Heeren Foundation, at the Center of Arts and Flamenco in Sevilla (directed by Esperanza Fernández) and at Flamenco Abierto. Rocío Márquez has also given many conferences and speeches about flamenco, in places like El Escorial Summer University or the Ortega and Marañón Foundation. In 2007 she won the Flamenco Festival Contests of Alhaurín de la Torre, Calasparra, Marchena, Mijas and Jumilla, amongst others. However in 2008 Rocío Márquez won the most important flamenco festival contest in the world, El Cante de las Minas. She won the prize in the absolute category (Lámpara Minera), and at the same time she won the prize in four other categories (achievement only accomplished by the still young but already a legend Miguel Poveda). Her tour schedule grows exponentially from this point on, and she performs at some of the most important cities and festivals around the world: Bienal in Sevilla, La Unión Festival, Silk Road in Siria, Les Suds in Arles, Olympia in Paris, Dusseldorf Opera, Mohamed V Theatre in Rabat, Sacred Music Festival in Fez, Cervantes Institute in New York, Chicago, Tokyo, Rome, Istambul, Beirut, Cairo, etc. In Spain she has performed at some of the best considered venues such as La Zarzuela, Teatro Real, Teatro Circo Price, Auditorio Nacional or Teatro Real in Madrid, Palau de la Música in Valencia or Teatro Isabel la Católica in Granada. She has four recordings as a leader, Aquí y ahora (El séptimo sello, 2009, cd & dvd) and Claridad (Universal Music Spain, 2012) both of which have been mainly composed by her.Márquez has recorded with the Spanish National Orchestra with Maestro Josep Pons (Falla’s El Amor Brujo), and has also collaborated with the tenor José Manuel Zapata under the direction of the great Joan Albert Amargós. 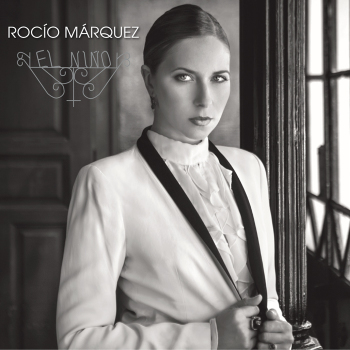 Rocío Márquez released in September 2014 by Universal Music Spain “El Niño” an ambitious homage to the controversial flamenco legend Pepe Marchena. She released in 2017 her new album “Firmamento”.